After their disaffected debut Wavvves, the San Diego trio fronted by Nathan Williams had a rough 2009, riddled with low-grade rock beefs and a widely publicized onstage meltdown. No one would have blamed Williams for retreating deeper into his quivering fortress of 4-track distortion. 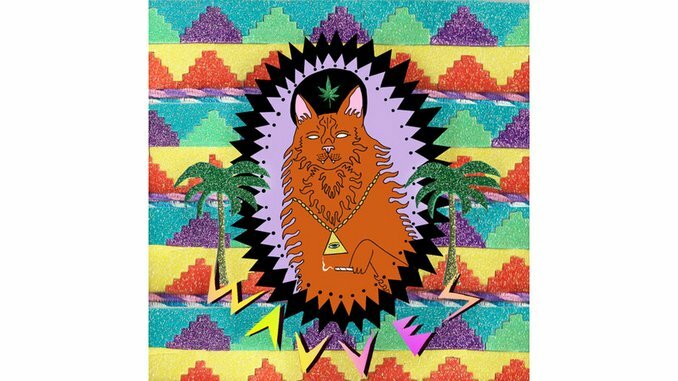 But for Wavves’ follow up, he’s come out swinging. King of the Beach finds him communing with his inner songwriter, forgoing nihilistic static for hi-def clarity; the album is saturated with high poly-harmonies, finger-snaps and hand claps, but the Charles Atlas-invoking title communicates Wavves’ real agenda—“nyah-nyah” pop sucker-punches, sunny smiles so forced they come off as sneers, intense self-deprecation as psychic body armor. “Convertible Balloon” deploys phase-shifting synths and mad-lib couplets (“Driving around with my convertible tunes / Partying around in my invertible cocoon”) to evoke isolation. Meanwhile, on “Linus Spacehead,” Williams brags, “I’m stuck in the sky / I’m never coming down,” riffing on narcotic overindulgence and the ravages of touring. Shiny packaging aside, Williams hasn’t really changed. He’s still letting his demons run wild—this time, in Technicolor.